New wheels & news on the fork once known as Pace. For 2014, DT Swiss has introduced a 3-wheel series based around their slick 2-piece hub shells and legendary Star Ratchet freehub system. To those, DT has added a series of three alloy rims promising wider, more modern profiles and easy tubeless compatibility. 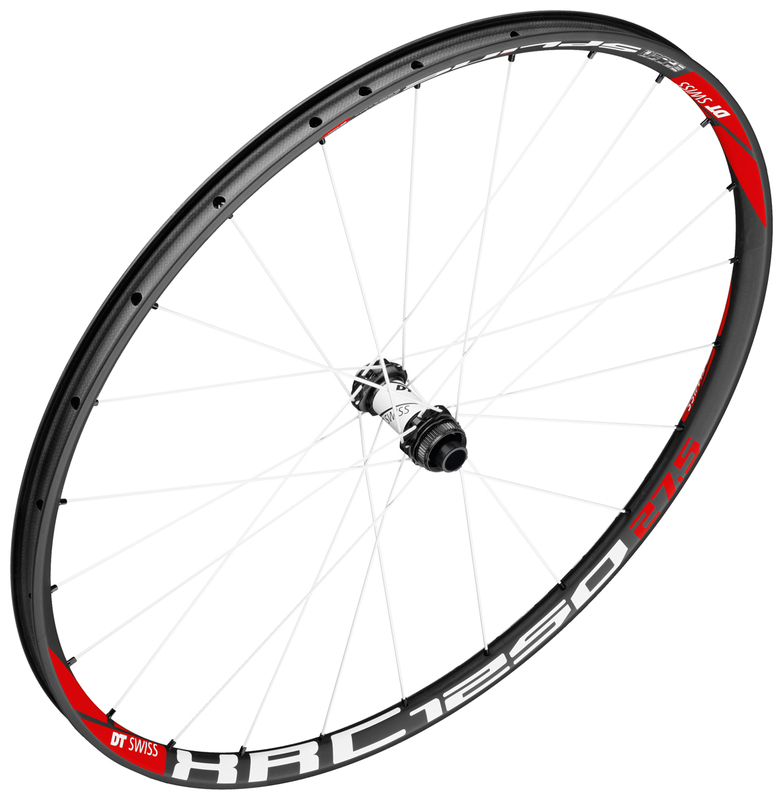 All three wheelsets carry the “1501” designation and virtually every common wheel and freehub combination will be available. 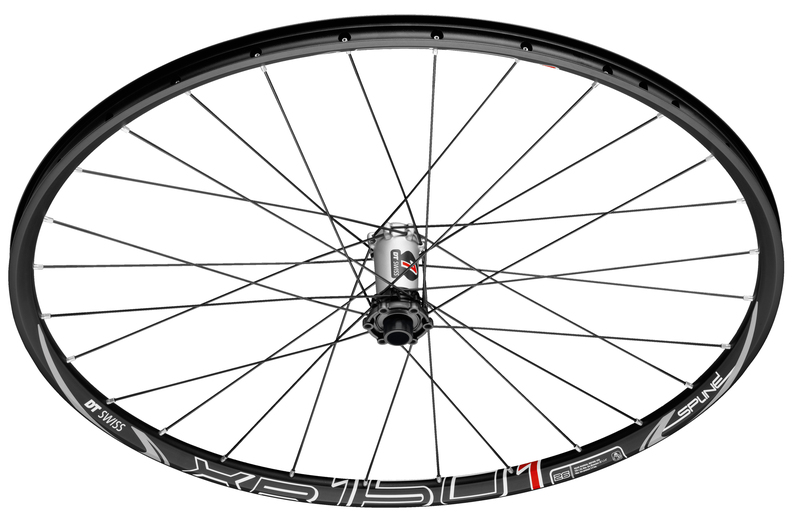 The XC-oriented XR 1501 Spline (above) is the lightest of the aluminum options at 1,410g in the 26in model (hear that? 26in model!). 27.5in (1,470g) and 29in (1,520g) models will also be available. These weights come in spite of a sensible 24/20mm rim width and a full 32 28 DT Swiss straight-pull spokes. 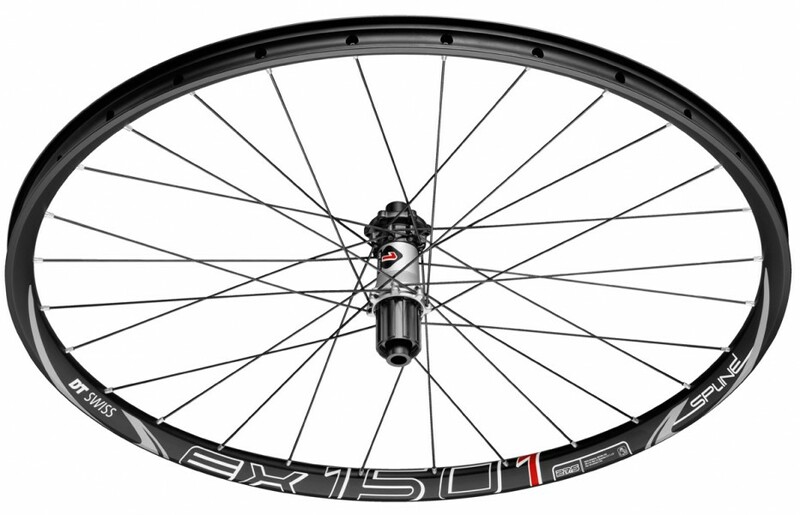 Trail riders will likely gravitate toward the just right XM 1501 Spline. (Look at the top image, squint until the R looks like an M, and you’ve seen it.) Jumping up to 27/22.5mm wide rims takes the weight up to 1,545g/1,595g/1,680g for the three usual wheel sizes. The XMs’ weight is still plenty XC-friendly weight while the larger rim should provide a bit of extra stability and durability for day-to-day use. These could be the wheels to get. For the less gentle and more aggressive among us, DT have given birth to the EX 1501 Spline. We can still remember when their 1,660g weight would have been considered respectable on the race course- things do change, don’t they? 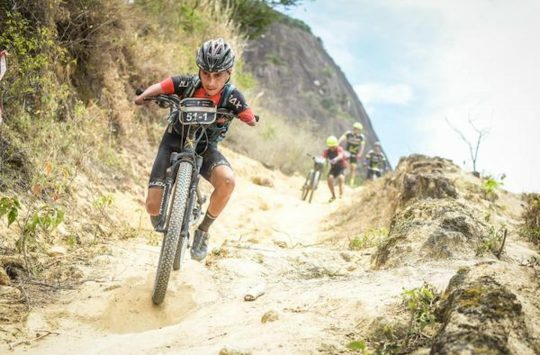 Offered only in 26in and 27.5in (1,730g) sizes, the 30/25mm wide rims should play well with some truly wide tyres- or stretch your favourite XC rubber to trail width. Not a bad choice for–brace yourselves–Enduro riding. Though we don’t have UK pricing at the moment, DT’s goal with the 1501 Spline wheelsets was to blend their reputation for quality with an attractive price:performance ratio and the three models will come in right around the $1,000 mark. All will ship with tubeless rim strips, valve stems, and the end caps and RWS skewers needed for 100/135mm QR fitment. Not to leave racers out of the discussion, the XRC 1250 Spline wheelset moves to a single-piece Center Lock hubs, 24-28 bladed spokes, and a 28/21.5mm wide carbon fibre rim. This one’s only for 27.5in and 29in riders and weights are expected to be 1,360g and 1,475g. Backward is the new forward. 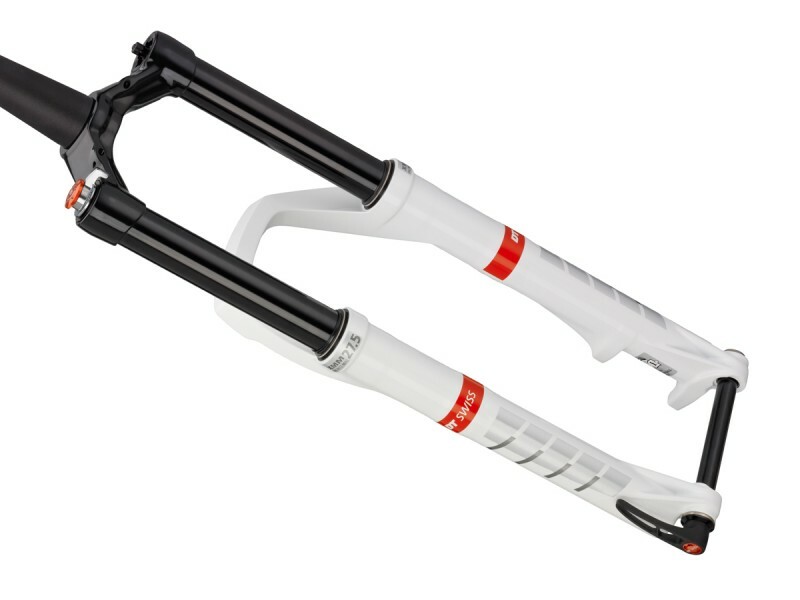 For 2014, DT Swiss is revitalizing their suspension fork line with a new one-piece magnesium casting. 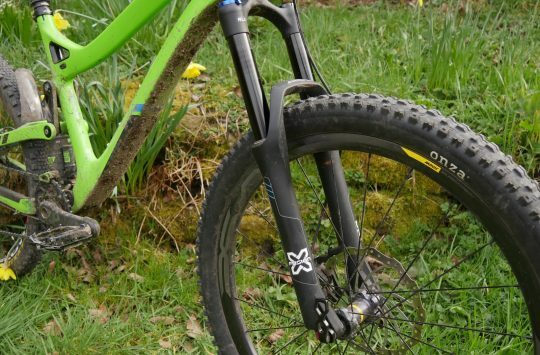 The logically named OPM forks’ lowers are FEA-optimized and injection molded in a single piece, with no Torsion Box needed on the arch. 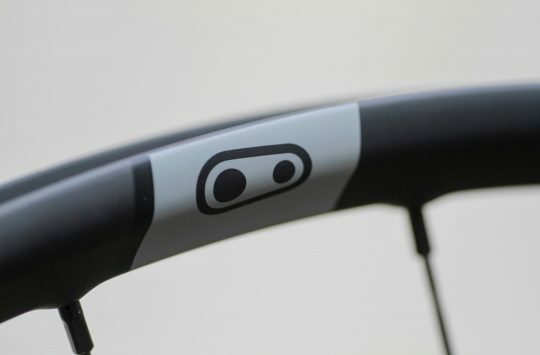 That arch retains the super-stiff reverse placement inherited from Pace, allowing the company to get away with 32mm stantions on 26in and 27.5in forks up to 150mm in travel (29er models run to 120mm). The new line is compatible only with 15mm thru axles and tapered steerers- neither bad things. All forks also feature DT’s Single Shot damper and a remote lockout will be optional. Weights run from 1,580g for a 26in/100mm fork to 1,640g for 27.5in/150mm including the RWS thru axle. 29er models weigh in at 1,625g for 100mm, 1,680 for 120mm. The best bit? Pricing for OPM models look to be at least 20% less than the more complex Torsion Box models. DT Swiss are distributed in the UK by HotLines.